Another event at the 2016 PokerStars.es EPT Season 13 Barcelona, another record broken. After last years 152-strong tournament wasn't able to finish in the intended one day, this year's version started at 10:30 in the morning but that didn't keep them from flocking the poker room for some €25,500 Single-Day High Roller action. Once again players started with 100,000 in chips and levels were 30 minutes long throughout. Despite the early starting time, the designated tables filled up pretty quickly. A stable flow of new players and players reentering followed till the registration closed after the extended lunch break. In total 165 entries were made, consisting of 131 unique players and 34 of them using their single reentry option. That created a prize pool of well over €4 million with just shy of a million for first. As was expected, players busted out left and right the entire day. With a €25,000 prize tag to enter, just about all of the players could be described as notables. The best of the best came out for the event, and some rich amateurs joined them to battle it out for the glory and trophy. Gerard Pique, after having already played the €50,000 Super High Roller earlier this festival, made another appearance. He gathered a big stack early on, but eventually fell a couple places short of the money in a hand against eventual final tablist Talbot Parker. With so many entering, a lot left empty handed and, presumably, disappointed. 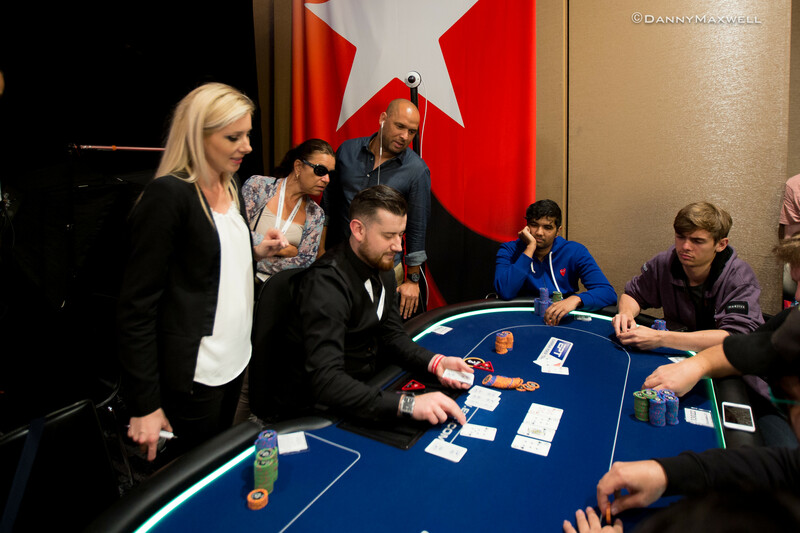 Like Pique, big names like Anthony Zinno, Timothy Adams, Adrian Mateos, Jason Mercier, Shaun Deeb and last year's winner Martin Finger all fell well before the money. Dutch high roller Robert Soogea would become the bubble. He first lost a big hand where his flush draw didn't turn into a flush. The remainder of his chips he lost against Dmitry Yurasov where the latter made top pair with queen-jack against the ace-five of Soogea. With that, the remaining 23 players were in the money and guaranteed €46,900. One young player from Germany played exceptionally well all day, especially for someone considered a poker pensionado. He didn't seem fazed by the big names surrounding him and wasn't backing down for anyone. Fedor Holz, a retiree, battled the entire day and eventually made it into the money for a min cash. Once he busted out, the rest of the field breathed a big sigh of relief as they now officially had a fighting chance. Holz, of who some jokingly say he's just playing the "retiree" game to be able to join the One Drop Extravaganza in Monaco in October, walked away with €46,900, just shy of what he bought in for today. After Holz busted out in 23rd place, the line at the payout desk would stay busy for some time. While the bubble hadn't lasted long, play was still relatively shallow and pre flop shoves were more common than post community cards pots. Players like November Niner Vojtech Ruzicka (18th for €50,940), WSOP Main Event champion Martin Jacobson (15th for €62,660) and One Drop player Christoph Vogelsang (14th for €62,660) all made deep runs but tripped before the final table was reached. While Russian regular Dmitry Yurasov did make it to the last table in play, his 9th place finish meant he had officially bubbled the final table. With 8 players remaining, the play did not tighten up the least. Sergey Lebedev was the first to go after his ace-five didn't chop (let alone beat) the ace-four of his countryman Andrey Shatilov. A four on the flop and Lebedev hit the rail in 8th place for €117,640. Parker Talbot, jovial as ever - or should we say jolly - hit the rail in 7th place as his pocket tens ran into the ace-king of [Removed:17]. The ace on the turn did him off and Talbot received a €160,080 cheque for his 7th place finish. Alex Komaromi ended up 6th after he lost the crucial flip against Andrey Shatilov with ace-eight against deuces. Despite picking up a bunch of outs to counterfeit his opponent he eventually ended up with nothing more than ace-high. He received €216,250 for his 6th place. Long time Global Poker Index commander Steve O'Dwyer went home in 5th place after his ten-eight failed to improve against the king-four of Pratyush Buddiga. The €278,900 he received for his 5th place finish was the 13th biggest score of his career. Tobias Reinkemeier left the tournament in 4th place for €347,650 after his ace-six lost to Buddiga's ace-three, courtesy of a three on the turn. The final 3 players immediately started talking shop after the shorties had all been eliminated. [Removed:17], Pratyush Buddiga and Andrey Shatilov didn't need long to shake hands and sign the ICM-deal papers. [Removed:17] received €704,755, Pratyush Buddiga got €690,275 and Andrey Shatilov guaranteed himself €606,020. Part of the deal was to go all in blind till someone had all the chips and could claim the trophy. That only took two all ins as the first hand already eliminated Andrey Shatilov and crippled [Removed:17]. Pratyush Buddiga reigned supreme after one more flip to end it all. He didn't walk away the biggest winner cash wize, but he did receive the spade trophy and posed for the winner photo as a result. We congratulate Pratyush Buddiga as the €25,500 Single-Day High Roller champion. PokerNews.com live coverage of the 2016 PokerStars.es EPT Season 13 Barcelona continues tomorrow as Day 2 of the Main Event starts at noon local time. The second flip saw [Removed:17] at risk of elimination and Pratyush Buddiga had him dominated this time. The flop left Yan just about drawing dead, making the turn and river insignificant. Both players shook hands and Buddiga will be taking home the trophy as well as €690,275, whereas Yan receives the biggest payday of the final trio worth €704,755. This marks the end of the PokerNews live coverage for the €25,500 Single-Day High Roller and a recap of today's action will be available shortly. 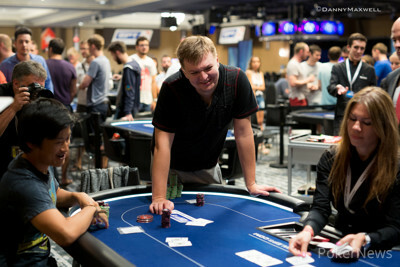 The board ran out and Buddiga hit the flush on the river to eliminate Shatilov in third place and double through Yan. Shatilov takes home €606,020 as per the deal. They will now be all in every hand to determine the official winner, who then takes home the trophy. The remaining three players asked to check the stacks and look into potential ICM numbers. Below are the updated chip counts. Pratyush Buddiga raised to 325,000 first to act and the action folded to Tobias Reinkemeier in the big blind. He announced all in and Buddiga asked for a count, the shove was for around 1.3 million, then called. The German High Roller regular was ahead and kept the narrow lead on the flop, but the turn improved Buddiga to two pair. 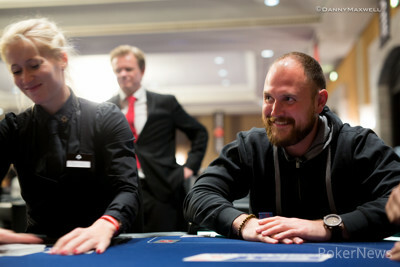 A blank on the river completed the board and sent Reinkemeier to the rail in 4th place for €347,650. 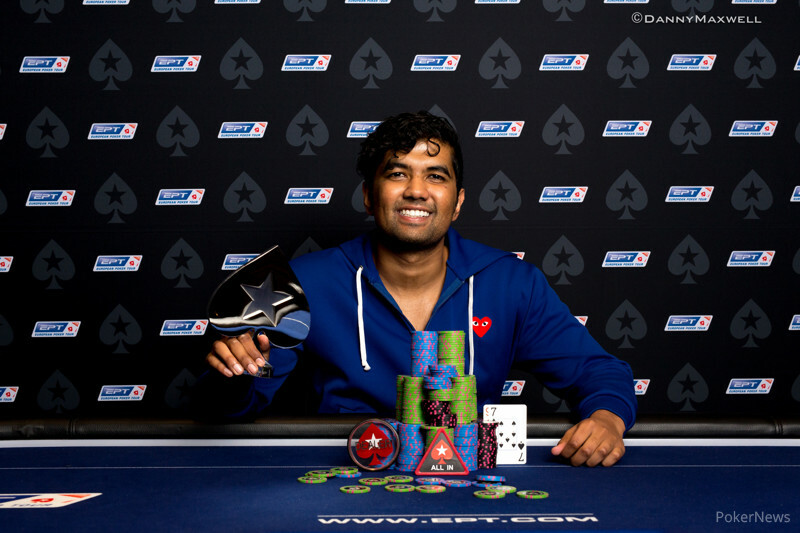 Pratyush Buddiga raised to 250,000 from under the gun and scooped the blinds and antes. [Removed:17] raised to 300,000 first to act, and Andrey Shatilov called on the button. The flop and the turn went check, check. After the river, Yan bet 800,000 and Shatilov folded. Tobias Reinkemeier shoved for 900,000 and won the blinds and antes. Reinkemeier moved all in again, there was no call. Shatilov shoved from the small blind and Reinkemeier folded in the big blind. 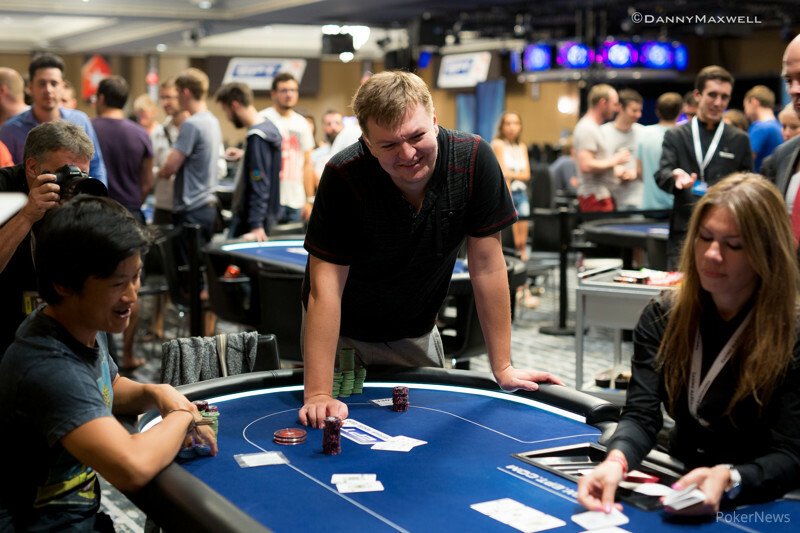 After [Removed:17] lost a small pot to Andrey Shatilov by check-folding the turn, the remaining four players asked for a quick break. Below are their current stack sizes.